It's a new year and we are off to a great start with tons of great news including Epics awesome success, a Celeste collectors edition, and some new Persona 5 rumors. We also have the latest released including a full hands on of Fitness Boxing. It is the last podcast of the year and we have a banger! Niantic is crushing it with Pokemon Go, Nintendo is dominating the holiday NPD charts, and Celeste sells more than 500,000 copies this year. Nintendo heads to court in Europe over pre-purchases, Damon Baker departs Nintendo, and Minecraft for Wii U gets one last update. We finish it all of with the new releases and a special segment where we cover our top game and accessory picks of 2018. Reggie is back in the spotlight and sheds some light on the future of the NES & SNES Classic Consoles and if there will be a N64 Classic. We take a look at the latest updates for Smash Bros. Ultimate, Pokémon GO, and Stardew Valley and at the same time break down all the releases before the big holiday break. Nintendo titles swept The Game Awards, and even more great games are headed our way including Mortal Kombat and a new Marvel Exclusive. We have all the great Nintendo news, released, and a full breakdown of the new Flip Grip accessory for your Switch. Reggie gives us full updates and thoughts on the N64 Classic, Metroid 4's release timeframe, downloadable content, and the state of the 3DS. We also have all the latest releases for the week and updates on Pinball FX3. This week we talk about the Pokémon Let's Golaunch, YouTube, the Nintendo Holiday Experience, Overwatch, and a new Zelda coming to Switch!? It is official everything that could be announced for Super Smash Bros. Ultimate has been announced! We break down the full direct, have the latest Pokémon news, Civilization VI online details, the best sellers, and all the new releases. It is time for some serious Smash Bros. Ultimate rumors and news as the upcoming Nintendo Direct lingers. Some serious Wii prototypes hit the market, Switch is selling well, and a bunch of new games are coming! Motz received his starter edition of Starlink: Battle for Atlas from Best Buy and has an epic story to just play the game. A plethora of Diablo III news, hardware, and accessories have been announced, Mario gets ready for Halloween, Panic Button wants more, Huawei releases a new phone that they claim is a Switch competitor, and of course we have the new releases for the week. A new week and a new Nintendo rumor! This time, it's about the N64 Classic! Are we getting one soon?! Also crossplay on Diablo III, missing JoyCons, boxing on Switch, a new update! Rumors are a buzz of new Nintendo Switch hardware hitting the shelves next year, Splatoon 2's next Splatfest and Halloween event is spectacular, Pokemon Let's Go accessories announced, new Switch Online NES games, and all of the latest releases. 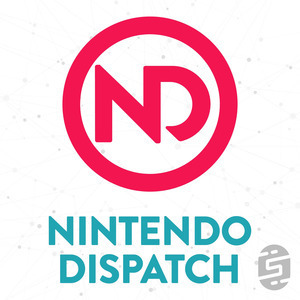 This week on the Nintendo Dispatch we talk about PS4 getting cross-play, Nintendo cloud saves and how long our data is stored. We also discuss Mario Party and its lack of handheld mode and all the Minecraft news! Nintendo Online Service is FINALLY live! This week we discuss our thoughts about the service as well as recent news stories revolving around it! We also talk about the Telltale Games layoffs, the rumors of Smite coming to Switch and a brand new Fortnite Switch bundle! The Nintendo Directs are over and we are back to our regular schedule with the latest news, best sellers, releases, and of course we discuss what we have been playing. This week Fortnite removes video capture, tomtoc has new cases, Smash Bros. goes to college, and there are some fantastic releases.